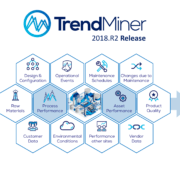 TrendMiner expands Software AG’s Cumulocity IoT Portfolio with an intuitive, web-based, self-service analytics platform for visualization of time series based data. TrendMiner enables domain experts, with an intuitive user interface, to analyze, monitor and predict the performance of manufacturing processes without any need for support. The new product and service offering will be available in a few months. HASSELT, Belgium, June 12, 2018- Software AG (Frankfurt TecDAX: SOW) today announced its acquisition of data analytics scale-up, TrendMiner NV. Founded in 2008 and based in Hasselt, Belgium, TrendMiner specializes in visual data analytics for the manufacturing and process industry and will complement Software AG’s Internet of Things (IoT) and Industry 4.0 product portfolio. TrendMiner is an intuitive, web-based, self-service analytics platform for rapid-fire visualization of time series based process and asset data. 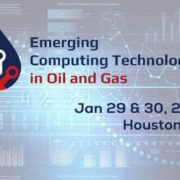 It enables manufacturing companies and the process industries to quickly and easily recognize patterns and trends in their process data, identify production irregularities, and adapt necessary process adjustments early – without the need for support from IT specialists or data scientists. TrendMiner plug and play software adds value immediately after deployment. Following its acquisitions of artificial intelligence (AI) specialist Zementis (2016) and the Cumulocity IoT (2017), Software AG’s acquisition of TrendMiner is consolidating its leading position in the rapidly growing IoT market. TrendMiner employs advanced analytics methods such as diagnostic, visual and predictive analytics; the technology uses all available time series IoT data and delivers findings in a user-friendly format. TrendMiner employs over 70 people. Outside of Belgium, it has sales offices in the Netherlands, Germany and the USA. The company was founded in 2008 as a spin-off of K.U. Leuven University in Belgium. 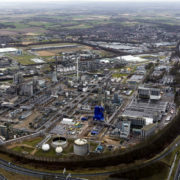 As a result of the acquisition, Software AG is further expanding its technology leadership with the Cumulocity IoT platform. Software AG (Frankfurt TecDAX: SOW) helps companies with their digital transformation. With Software AG’s Digital Business Platform, companies can better interact with their customers and bring them on new ‘digital’ journeys, promote unique value propositions, and create new business opportunities. In the Internet of Things (IoT) market, Software AG enables enterprises to integrate, connect and manage IoT components as well as analyze data and predict future events based on Artificial Intelligence (AI). The Digital Business Platform is built on decades of uncompromising software development, IT experience and technological leadership. Software AG has more than 4,500 employees, is active in 70 countries and had revenues of €879 million in 2017. 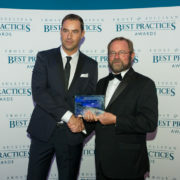 To learn more, visit www.softwareag.com. TrendMiner delivers discovery, diagnostic and predictive analytics software for the process industry. TrendMiner software is based on a high-performance analytics engine for process data captured in time series. 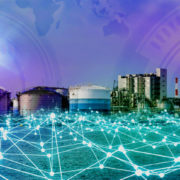 Through an intuitive web-based client, process engineers and operators can easily search for trends themselves using pattern recognition and machine learning technologies. TrendMiner, founded in 2008, is a software company with global headquarters in Hasselt. TrendMiner employs 70 people. To learn more, visit www.trendminer.com. Watch what Software AG’s CRDO Dr. Stefan Sigg has to say about the Software AG’s latest tech acquisition in the data analytics area: TrendMiner. Watch the Interview at Cebit, Hannover: CEO Bert Baeck explains why TrendMiner and Software AG are a perfect fit. Read the interview with Bert Baeck in the Belgium newspaper De Tijd (text in Dutch). Read what Michael Guilfoyle, ARC Advisory Group wrote in his blog post.